Looking to switch things up from our Polaris Slingshots? 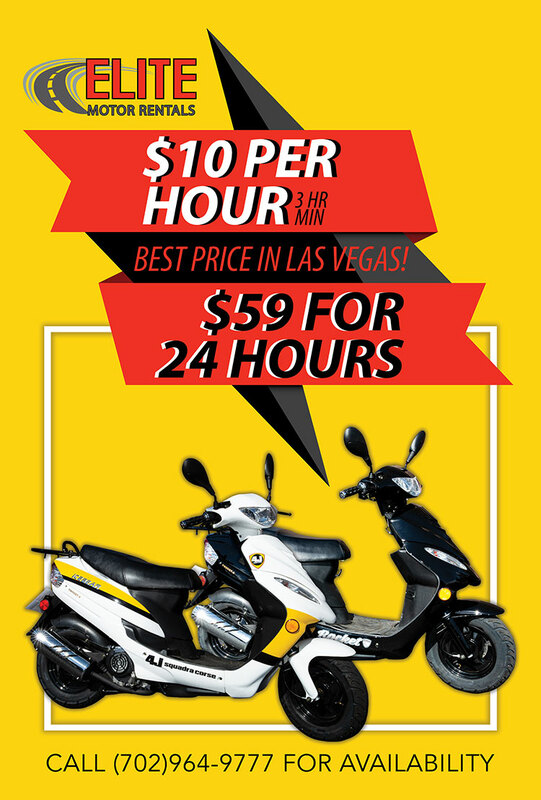 Elite Motor Rentals now offers Scooter rentals in Las Vegas! We offer some of the most competitive prices in the city, starting at $10/hour* and only $59 for a full 24 hours! Rather than walking, take in the beautiful views over and over again by jumping on one of our scooters and zooming up and down the iconic Las Vegas Strip! Perfect for both large and small groups.